We regret to hear about your experience, and understand that we’ve spoken to you in regards to your concerns. We’ll continue to follow up with you until a solution is reached. 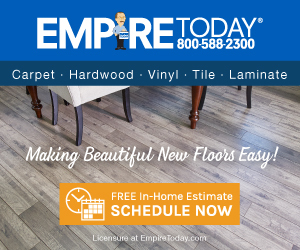 Empire Today salesperson came to our home twice to sell us flooring. We paid $4000 in full. After a few weeks later Empire salesperson called and demanded $2000 more dollars because he made an error in his measurements. He refused to give us a refund and offered to send two boxes of Linoleum for me to have someone to install at our expense. I was devastated because my husband a disabled veteran who is wheelchair bound and blind. Money was tight already and I trusted this company with our last and they robbed us of $4000. I am so stressed and can't stop crying. Please recommended a attorney to help us. Product or Service Mentioned: Empire Today Linoleum Installation. Review #1497817 is a subjective opinion of WaggishPrawn.